Introducing the nanoWatt XLP PIC18F1XK22 Flash microcontroller: not too big, not too small… just right! 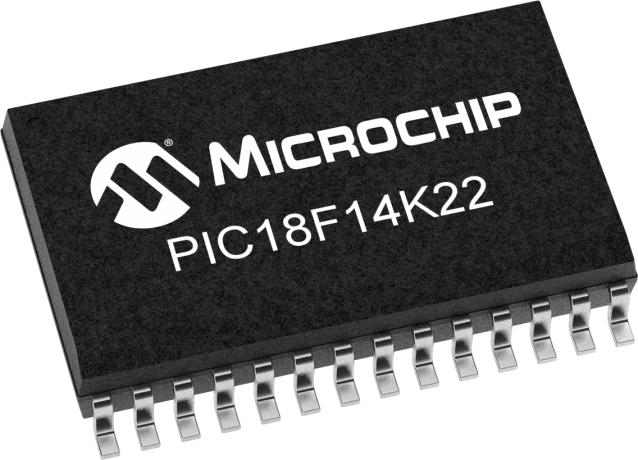 This new family of devices offer all of the advantages of the well recognized PIC18F High Performance MCUs; 8-bit, C compiler optimized architecture and an industry leading peripheral set now available in a low pin-count option. These new 20-pin products include a 16 MHz precision Internal Oscillator which can be used with the standard 4X PLL to produce 16 MIPS of performance (64 MHz @ 3V). Standard analog peripherals include 12 channels of 10-bit A/D, Dual Rail-Rail Comparators with improved input/output multiplexing and an on-chip selectable Fixed Voltage Reference. Digital peripherals include an Enhanced Capture/Compare/PWM (ECCP+) module with PWM steering and a Master Synchronous Serial Port (MI2C,SPI) module with software controllable address masking. These devices also feature the SR Latch mode which supports capacitive sensing applications. In addition to these peripherals, the devices feature several microcontroller monitors that provide for reliable operation including BOR (Brown Out Reset) with software enable, POR (Power On Reset) and an Extended WDT. The addition of nanoWatt XLP technology make these devices ideally suited for battery powered applications or designs where power consumption is constrained.